“It sound’s familiar, I must have heard about it somewhere.” Familiar typeface, cool colors or something that makes you think “I think I know them”, but then you actually can’t tell what they do. Who are the companies behind the logos? Here are all our sponsors highlighted. See the supporters highlighted here. Teknologiateollisuus (The Federation of Finnish Technology Industries) is a lobbying organisation for technology industry companies. Teknologiateollisuus promotes the competitiveness and operational preconditions for the largest and most important export sector in Finland. 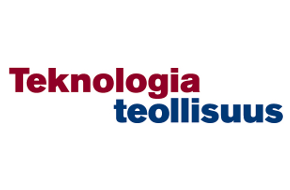 Teknologiateollisuus safeguards it’s members’ interests in national and EU-level decision-making and negotiates collective agreements on behalf of our members. They have a presence in numerous international organisations and also provides information on the technology industry. 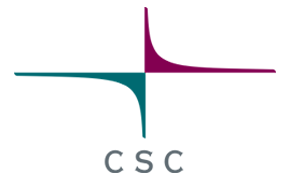 CSC – IT Center for Science Ltd. is a non-profit, state-owned company administered by the Ministry of Education and Culture. CSC maintains and develops the state-owned centralised IT infrastructure and uses it to provide nationwide IT services for research, libraries, archives, museums and culture as well as information, education and research management. CSC has the task of promoting the operational framework of Finnish research, education, culture and administration. As a non-profit government organisation, it is their duty to foster exemplary transparency, honesty and responsibility. Trust is the foundation of CSC’s success. Customers, suppliers, owners and personnel alike must feel certain that CSC will fulfil their commitments and promises in an ethically sustainable manner. Solita is a digital business consulting and services company. They develop new business and digital services for corporate and public sector customers. Solita combines business processes, contents and technology in a revolutionary manner for our customers’ benefit. Their role is to be the customer’s guide on the road to change. Solita is a growth company founded in 1996. They have over 400 experts of digital business in our service. They are really proud of their open and interactive business culture, which earned them the 6th place in the 2015 Great Place to Work ranking. In recent years, Solita has served customers in digital business projects with a comprehensive service offer, from concepts through to implementation and maintenance. In addition to their market-leading understanding of digital technologies, Solita provides for their customers versatile consulting and service design expertise. Ultrahack MyData Hackathon – 48hr Challenge!